The Haddonfield Garden Club was founded in 1906, and became a charter member of the New Jersey Garden Club in 1927. For more than 110 years, HGC has been involved in community projects, and in the education of its members relating to gardening, design, horticulture and the environment. The total number of members is 76. There are 46 active members and 30 inactive members. Most of our meetings are open to the general public. We love to have guests! Announcements of meetings are posted in local newspapers, and also on this website. (Please see calendar page.) Here is information on our upcoming meeting. 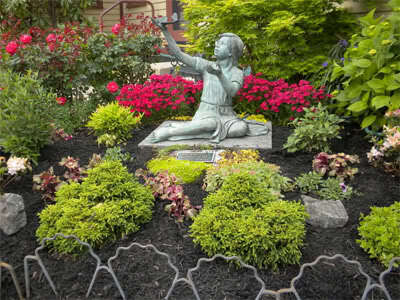 Betty Powell Memorial Garden, designed and maintained by the Haddonfield Garden Club. 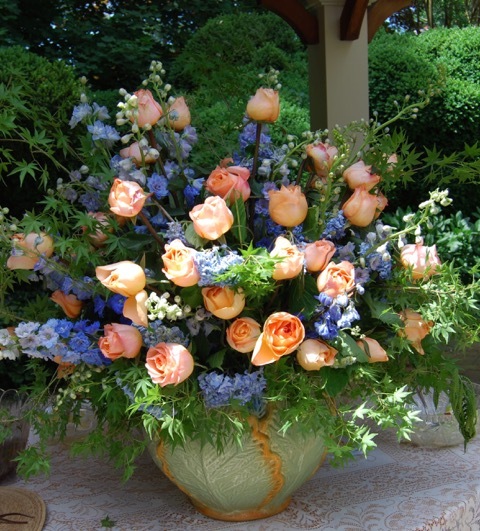 As summer turns into fall, I am preparing my second message to you the Haddonfield Garden Club members. The past year has been busy and enjoyable for me and I hope for you. I am looking forward to continuing in this spirit. This year we are hosting the joint meeting with Moorestown and Pinelands Garden Clubs in November. A program on the 9/11 Memorial Trees will be presented by Paul Cowie. (I have seen this program and can personally say, “It is one of the very best I’ve ever seen”). MaryClare, Debbie and Chris will be handling hospitality and in true HGC spirit, we will all rise to the occasion. Jeanette has prepared both educational and interesting programs for the year, including the return of the very popular, Bruce Crawford. We will make Holiday Wreaths, learn about Tea and Succulents, and visit the 9/11 Memorial in NYC in May. Our first meeting of the year will educate us on the Blue Star Memorial Program. All this, and the installation of your new 2019-2020 Officers at the home of member, Jennifer Fuller, in June. Who could ask for a better year? But, it will only happen if you contribute your own time and talent. So if asked, please answer, YES, I WILL HELP! Thank you for your support, and happy gardening.